Carfax Certified w/ NO accidents AND regular oil changes (22 Service visits!). New tires! Newer brakes! This car is in great shape - mechanically and body-wise! You won't be disappointed! Why not come in for a test-drive! We are conveniently located at Exit 17A off Rt. 24 on the Easton/Brockton line, near Stonehill College, between the Marriott Residence Inn and the Signature Medical Group on Liberty Street. As you come off the exit ramp take a right at your first three traffic lights onto Manley St., West Chestnut St., and Liberty Street. To arrange a test-drive, or to inquire more about this vehicle, call us toll free at (877) 734-9551, (508) 587-9040, or visit us online at www.paulclarkvw.com. For your GPS: 122 Liberty Street, Brockton, MA 02301. All prices, specifications and availability subject to change without notice. All vehicles are subject to prior sale. Price is based on in-stock units only. Does not include sales tax, plates, acquisition & document fee. Although every reasonable effort has been made to insure the accuracy of the information contained on this site, absolute accuracy cannot be guaranteed. Please contact dealer for the most current information. Thanks! 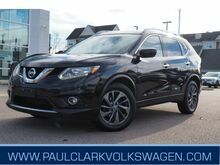 NAVIGATION*PANORAMIC SUNROOF*18 ALLOY WHEELS*HEATED LEATHER SEATS*iPHONE INTERFACE CABLE (MDI)*BLUETOOTH*SIRIUS XM*FOG LAMPS*MUD FLAPS*4MOTION AWD* Cars,com Good Deal price! Cars.com Hot Car! Carfax Certified 2-owner w/ NO accidents AND regular oil changes! Why not come in for a test-drive! We are conveniently located at Exit 17A off Rt. 24 on the Easton/Brockton line, near Stonehill College, between the Marriott Residence Inn and the Signature Medical Group on Liberty Street. As you come off the exit ramp take a right at your first three traffic lights onto Manley St., West Chestnut St., and Liberty Street. To arrange a test-drive, or to inquire more about this vehicle, call us toll free at (877) 734-9551, (508) 587-9040, or visit us online at www.paulclarkvw.com. For your GPS: 122 Liberty Street, Brockton, MA 02301. All prices, specifications and availability subject to change without notice. All vehicles are subject to prior sale. Price is based on in-stock units only. Dealer financing required to qualify for advertised sale price. Does not include sales tax, plates, acquisition & document fee. Although every reasonable effort has been made to insure the accuracy of the information contained on this site, absolute accuracy cannot be guaranteed. Please contact dealer for the most current information. Thanks! 2.5 SL 4DR * ONE OWNER CLEAN CARFAX * 2.5L I4 * CVT * ALLOY WHEELS * POWER SUNROOF * NAVIGATION * LEATHER INTERIOR * HEATED FRONT SEATS * POWER DRIVER'S SEAT * AIR CONDITIONING * POWER WINDOWS AND MIRRORS * POWER LOCKS WITH KEYLESS * BLUE TOOTH * CRUISE * INSPECTED, SERVICED AND PRICED TO SELL! Why not come in for a test-drive! We are conveniently located at Exit 17A off Rt. 24 on the Easton/Brockton line, near Stonehill College, between the Marriott Residence Inn and the Signature Medical Group on Liberty Street. As you come off the exit ramp take a right at your first three traffic lights onto Manley St., West Chestnut St., and Liberty Street. To arrange a test-drive, or to inquire more about this vehicle, call us toll free at (877) 734-9551, (508) 587-9040, or visit us online at www.paulclarkvw.com. For your GPS: 122 Liberty Street, Brockton, MA 02301. Thanks! = )All prices, specifications and availability subject to change without notice. All vehicles are subject to prior sale. Price is based on in-stock units only. Does not include sales tax, plates, acquisition & document fee. Although every reasonable effort has been made to insure the accuracy of the information contained on this site, absolute accuracy cannot be guaranteed. Please contact dealer for the most current information. EX 5DR*17 ALLOYS*DUAL POWER SLIDING DOORS*AUTO HEADLIGHTS*REMOTE ENTRY w/ SECURITY SYSTEM*HEATED OUTSIDE MIRRORS*7-SPEAKER AUDIO*BLUETOOTH*FLASH MEMORY AUDIO*USB AUDIO INTERFACE*MULTI-INFORMATION DISPLAY*STEERING WHEEL CONTROLS*TRI-ZONE AUTOMATIC CLIMATE CONTROL*10-WAY POWER DRIVER SEAT*ONE-MOTION 60/40 3RD ROW MAGIC SEAT*MULTI-FUNCTION 2ND ROW CENTER SEAT*TWO-ROW POWER WINDOWS*SECOND ROW SUNSHADES*CHILD MIRROR*HOMELINK*ORIGINAL MSRP OF $32,285* New brakes including rotors! New wiper blades! New full synthetic oil change! It's ready to go! Carfax Certified 1-owner w/ NO accidents AND regular oil changes! Why not come in for a test-drive! We are conveniently located at Exit 17A off Rt. 24 on the Easton/Brockton line, near Stonehill College, between the Marriott Residence Inn and the Signature Medical Group on Liberty Street. As you come off the exit ramp take a right at your first three traffic lights onto Manley St., West Chestnut St., and Liberty Street. 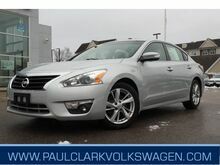 To arrange a test-drive, or to inquire more about this vehicle, call us toll free at (877) 734-9551, (508) 587-9040, or visit us online at www.paulclarkvw.com. For your GPS: 122 Liberty Street, Brockton, MA 02301. All prices, specifications and availability subject to change without notice. All vehicles are subject to prior sale. Price is based on in-stock units only. Dealer financing required to qualify for advertised sale price. Does not include sales tax, plates, acquisition & document fee. Although every reasonable effort has been made to insure the accuracy of the information contained on this site, absolute accuracy cannot be guaranteed. Please contact dealer for the most current information. Thanks! BETTLE 2.5L 2DR * VW CERTIFIED * CLEAN CARFAX * VERY NICE CAR! 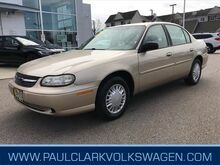 * 2.5L 5I * 6 SPEED AUTOMATIC TRANSMISSION * AIR CONDITIONING * AM/FM CD STEREO * POWER WINDOWS AND MIRRORS * POWER LOCKS WITH KEYLESS * CRUISE CONTROL * INSPECTED, SERVICED AND A 24 MONTH / 24,000 MILE WARRANTY! Why not come in for a test-drive! We are conveniently located at Exit 17A off Rt. 24 on the Easton/Brockton line, near Stonehill College, between the Marriott Residence Inn and the Signature Medical Group on Liberty Street. As you come off the exit ramp take a right at your first three traffic lights onto Manley St., West Chestnut St., and Liberty Street. 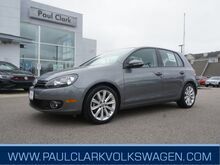 To arrange a test-drive, or to inquire more about this vehicle, call us toll free at (877) 734-9551, (508) 587-9040, or visit us online at www.paulclarkvw.com. For your GPS: 122 Liberty Street, Brockton, MA 02301. Thanks! All prices, specifications and availability subject to change without notice. All vehicles are subject to prior sale. Price is based on in-stock units only. Does not include sales tax, plates, acquisition & document fee. Although every reasonable effort has been made to insure the accuracy of the information contained on this site, absolute accuracy cannot be guaranteed. Please contact dealer for the most current information. S WITH TECHNOLOGY * VW CERTIFIED * ONE OWNER CLEAN CARFAX * 2.0L I4 * 6 SPEED AUTOMATIC TRANSMISSION * PUSH BUTTON START * AIR CONDITIONING * AM/FM/HD CD STEREO * POWER WINDOWS AND MIRRORS * POWER LOCKS WITH KEYLESS * REAR VIEW CAMERA * BLUE TOOTH * CRUISE * 60/40 SPLIT REAR SEAT * INSPECTED, SERVICED AND A 24 MONTH / 24,000 MILE WARRANTY! Why not come in for a test-drive! We are conveniently located at Exit 17A off Rt. 24 on the Easton/Brockton line, near Stonehill College, between the Marriott Residence Inn and the Signature Medical Group on Liberty Street. As you come off the exit ramp take a right at your first three traffic lights onto Manley St., West Chestnut St., and Liberty Street. 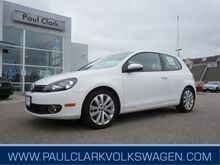 To arrange a test-drive, or to inquire more about this vehicle, call us toll free at (877) 734-9551, (508) 587-9040, or visit us online at www.paulclarkvw.com. For your GPS: 122 Liberty Street, Brockton, MA 02301. Thanks! = )All prices, specifications and availability subject to change without notice. All vehicles are subject to prior sale. Price is based on in-stock units only. Does not include sales tax, plates, acquisition & document fee. Although every reasonable effort has been made to insure the accuracy of the information contained on this site, absolute accuracy cannot be guaranteed. Please contact dealer for the most current information. 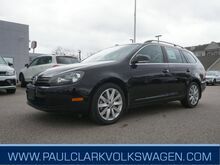 TDI DIESEL*SUNROOF*17-INCH ALLOY WHEELS*HEATED LEATHER SEATS*BLUETOOTH*PREMIUM TOUCHSCREEN RADIO*REARVIEW CAMERA*SIRIUS XM*AUTOMATIC*INCLUDES 2-YEAR UNLIMITED MILEAGE VW CERTIFIED WARRANTY* Cars.com Good deal pricing! New front & rear brakes including brand new brake pads AND brand new rotors! (We didn't just turn the old rusty rotors and slap on pads like some others). Four new tires! Four wheel alignment! New air filter, fuel filter, pollen filter and wiper blades! New full synthetic oil change! It's done right and ready to go! Certified 1-owner w/ NO accidents AND regular oil changes! Price INCLUDES 2-year UNLIMITED MILEAGE Volkswagen Certified bumper-to-bumper warranty AND 4.99% APR Volkswagen Credit financing! Why not come in for a test-drive! We are conveniently located at Exit 17A off Rt. 24 on the Easton/Brockton line, near Stonehill College, between the Marriott Residence Inn and the Signature Medical Group on Liberty Street. As you come off the exit ramp take a right at your first three traffic lights onto Manley St., West Chestnut St., and Liberty Street. 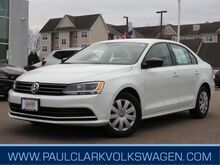 To arrange a test-drive, or to inquire more about this vehicle, call us toll free at (877) 734-9551, (508) 587-9040, or visit us online at www.paulclarkvw.com. For your GPS: 122 Liberty Street, Brockton, MA 02301. All prices, specifications and availability subject to change without notice. All vehicles are subject to prior sale. Price is based on in-stock units only. Dealer financing required to qualify for advertised sale price. Does not include sales tax, plates, acquisition & document fee. Although every reasonable effort has been made to insure the accuracy of the information contained on this site, absolute accuracy cannot be guaranteed. Please contact dealer for the most current information. Thanks! 2.5 SL 4DR * CLEAN ONE OWNER CARFAX * 2.5L I4 * AUTOMATIC CVT TRANSMISSION WITH XTRONIC * 17 ALLOYS POWER SUNROOF * NAVIGATION * LEATHER SEATS * HEATED FRONT SEATS * AM/FM/CD STEREO * BACK UP CAMERA * POWER WINDOWS AND MIRRORS * POWER LOCKS WITH KEYLESS * BLUE TOOTH * CRUISE * INSPECTED AND SERVICED.Why not come in for a test-drive! We are conveniently located at Exit 17A off Rt. 24 on the Easton/Brockton line, near Stonehill College, between the Marriott Residence Inn and the Signature Medical Group on Liberty Street. As you come off the exit ramp take a right at your first three traffic lights onto Manley St., West Chestnut St., and Liberty Street. 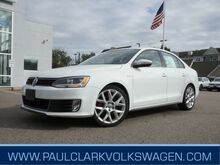 To arrange a test-drive, or to inquire more about this vehicle, call us toll free at (877) 734-9551, (508) 587-9040, or visit us online at www.paulclarkvw.com. For your GPS: 122 Liberty Street, Brockton, MA 02301. Thanks! = )All prices, specifications and availability subject to change without notice. All vehicles are subject to prior sale. Price is based on in-stock units only. Does not include sales tax, plates, acquisition & document fee. Although every reasonable effort has been made to insure the accuracy of the information contained on this site, absolute accuracy cannot be guaranteed. Please contact dealer for the most current information. 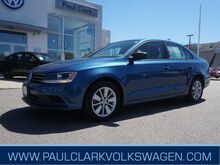 *TDI DIESEL*6-SPEED MANUAL* 17-INCH ALLOYS*HEATED SEATS*BLUETOOTH*PREMIUM TOUCHSCREEN RADIO*SIRIUS XM*FOG LIGHTS*REMOTE KEYLESS ENTRY*New front & rear brakes including brand new brake pads AND brand new rotors! (We didn't just turn the old rusty rotors and slap on pads like some others). Four new tires! Four wheel alignment! New air filter, fuel filter, pollen filter and wiper blades! New full synthetic oil change! It's done right and ready to go! Carfax Certified 1-owner w/ NO accidents AND regular oil changes! Price INCLUDES 2-year UNLIMITED MILEAGE Volkswagen Certified bumper-to-bumper warranty AND 4.99% APR Volkswagen Credit financing! Why not come in for a test-drive! We are conveniently located at Exit 17A off Rt. 24 on the Easton/Brockton line, near Stonehill College, between the Marriott Residence Inn and the Signature Medical Group on Liberty Street. As you come off the exit ramp take a right at your first three traffic lights onto Manley St., West Chestnut St., and Liberty Street. 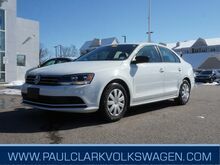 To arrange a test-drive, or to inquire more about this vehicle, call us toll free at (877) 734-9551, (508) 587-9040, or visit us online at www.paulclarkvw.com. For your GPS: 122 Liberty Street, Brockton, MA 02301. All prices, specifications and availability subject to change without notice. All vehicles are subject to prior sale. Price is based on in-stock units only. Dealer financing required to qualify for advertised sale price. Does not include sales tax, plates, acquisition & document fee. Although every reasonable effort has been made to insure the accuracy of the information contained on this site, absolute accuracy cannot be guaranteed. Please contact dealer for the most current information. Thanks! S WITH TECHNOLOGY 4DR * LOW MILES! * VW CERTIFIED * CLEAN ONE OWNER CARFAX * 1.4L TSI * 6 SPEED AUTOMATIC TRANSMISSION * ELECTRONIC STABILITY CONTROL ESC * AIR CONDITIONING * TOUCHSCREEN AM/FM CD STEREO * POWER WINDOWS AND MIRRORS * POWER LOCKS WITH KEYLESS * BLUETOOTH * REARVIEW CAMERA * CRUISE * INSPECTED, SERVICED AND A 2 YEAR / 24,000 MILE WARRANTY! Why not come in for a test-drive! We are conveniently located at Exit 17A off Rt. 24 on the Easton/Brockton line, near Stonehill College, between the Marriott Residence Inn and the Signature Medical Group on Liberty Street. As you come off the exit ramp take a right at your first three traffic lights onto Manley St., West Chestnut St., and Liberty Street. To arrange a test-drive, or to inquire more about this vehicle, call us toll free at (877) 734-9551, (508) 587-9040, or visit us online at www.paulclarkvw.com. For your GPS: 122 Liberty Street, Brockton, MA 02301. Thanks! All prices, specifications and availability subject to change without notice. All vehicles are subject to prior sale. Price is based on in-stock units only. Does not include sales tax, plates, acquisition & document fee. Although every reasonable effort has been made to insure the accuracy of the information contained on this site, absolute accuracy cannot be guaranteed. Please contact dealer for the most current information. S 4DR * LOW MILES! * VW CERTIFIED * CLEAN CARFAX * 1.4L TSI * 6 SPEED AUTOMATIC TRANSMISSION * ELECTRONIC STABILITY CONTROL ESC * AIR CONDITIONING * TOUCHSCREEN AM/FM CD STEREO * POWER WINDOWS AND MIRRORS * POWER LOCKS WITH KEYLESS * LATCH SEAT ANCHOR SYSTEM * CRUISE * INSPECTED, SERVICED AND A 2 YEAR / 24,000 MILE WARRANTY! Why not come in for a test-drive! We are conveniently located at Exit 17A off Rt. 24 on the Easton/Brockton line, near Stonehill College, between the Marriott Residence Inn and the Signature Medical Group on Liberty Street. As you come off the exit ramp take a right at your first three traffic lights onto Manley St., West Chestnut St., and Liberty Street. To arrange a test-drive, or to inquire more about this vehicle, call us toll free at (877) 734-9551, (508) 587-9040, or visit us online at www.paulclarkvw.com. For your GPS: 122 Liberty Street, Brockton, MA 02301. Thanks! All prices, specifications and availability subject to change without notice. All vehicles are subject to prior sale. Price is based on in-stock units only. Does not include sales tax, plates, acquisition & document fee. Although every reasonable effort has been made to insure the accuracy of the information contained on this site, absolute accuracy cannot be guaranteed. Please contact dealer for the most current information. *TDI DIESEL*6-SPEED MANUAL*17-INCH SEATTLE ALLOYS*HEATED SEATS*BLUETOOTH*PREMIUM TOUCHSCREEN AUDIO*SIRIUS XM*FOG LIGHTS*REMOTE KEYLESS ENTRY*HEATED OUTSIDE MIRRORS* Low, low mileage! Only 33k miles! Original MSRP of $25,005! New front & rear brakes including brand new brake pads AND brand new rotors! (We didn't just turn the old rusty rotors and slap on pads like some others). New tires! Four wheel alignment! New air filter, fuel filter, pollen filter and wiper blades! New full synthetic oil change! It's done right and ready to go! Carfax Certified 1-owner! Comes with the Carfax Buyback Guarantee! Price INCLUDES 2-year UNLIMITED MILEAGE Volkswagen Certified bumper-to-bumper warranty AND 4.99% APR Volkswagen Credit financing! Why not come in for a test-drive! We are conveniently located at Exit 17A off Rt. 24 on the Easton/Brockton line, near Stonehill College, between the Marriott Residence Inn and the Signature Medical Group on Liberty Street. As you come off the exit ramp take a right at your first three traffic lights onto Manley St., West Chestnut St., and Liberty Street. To arrange a test-drive, or to inquire more about this vehicle, call us toll free at (877) 734-9551, (508) 587-9040, or visit us online at www.paulclarkvw.com. For your GPS: 122 Liberty Street, Brockton, MA 02301. All prices, specifications and availability subject to change without notice. All vehicles are subject to prior sale. Price is based on in-stock units only. Dealer financing required to qualify for advertised sale price. Does not include sales tax, plates, acquisition & document fee. Although every reasonable effort has been made to insure the accuracy of the information contained on this site, absolute accuracy cannot be guaranteed. Please contact dealer for the most current information. Thanks! AWD 2.5I LIMITED 4DR WAGON * EXCELLENT CONDITION * ONE OWNER CLEAN CARFAX * 2.5L 4I * AWD * CVT TRANSMISSION * AWD * ALLOY WHEELS * AIR CONDITIONING WITH ELECTRONIC CLIMATE CONTROL * HARMON/KARDON AM/FM/HD CD STEREO * POWER DRIVER'S SEAT * HEATED FRONT SEATS * LEATHER INTERIOR * POWER WINDOWS AND MIRRORS * POWER LOCKS WITH KEYLESS * REAR VIEW CAMERA * BLUE TOOTH * CRUISE * INSPECTED, SERVICED AND SALE PRICED! Why not come in for a test-drive! We are conveniently located at Exit 17A off Rt. 24 on the Easton/Brockton line, near Stonehill College, between the Marriott Residence Inn and the Signature Medical Group on Liberty Street. As you come off the exit ramp take a right at your first three traffic lights onto Manley St., West Chestnut St., and Liberty Street. To arrange a test-drive, or to inquire more about this vehicle, call us toll free at (877) 734-9551, (508) 587-9040, or visit us online at www.paulclarkvw.com. For your GPS: 122 Liberty Street, Brockton, MA 02301. Thanks! All prices, specifications and availability subject to change without notice. All vehicles are subject to prior sale. Price is based on in-stock units only. Does not include sales tax, plates, acquisition & document fee. Although every reasonable effort has been made to insure the accuracy of the information contained on this site, absolute accuracy cannot be guaranteed. Please contact dealer for the most current information. 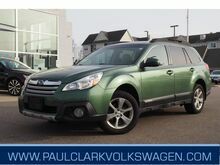 SE WITH CONNECTIVITY 4DR * ONE OWNER CLEAN CARFAX * 1.4L TSI * 6 SPEED AUTOMATIC TRANSMISSION * 16 ALLOYS POWER SUNROOF * HALOGEN HEADLIGHTS * LEATHERETTE * HEATED FRONT SEATS * TOUCHSCREEN AM/FM/HD CD STEREO * POWER WINDOWS AND MIRRORS * POWER LOCKS WITH KEYLESS * REARVIEW CAMERA * BLUE TOOTH * CRUISE * INSPECTED, SERVICED AND A 24 MONTH / 24,000 MILES WARRANTY! Why not come in for a test-drive! We are conveniently located at Exit 17A off Rt. 24 on the Easton/Brockton line, near Stonehill College, between the Marriott Residence Inn and the Signature Medical Group on Liberty Street. As you come off the exit ramp take a right at your first three traffic lights onto Manley St., West Chestnut St., and Liberty Street. 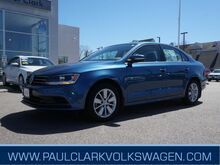 To arrange a test-drive, or to inquire more about this vehicle, call us toll free at (877) 734-9551, (508) 587-9040, or visit us online at www.paulclarkvw.com. For your GPS: 122 Liberty Street, Brockton, MA 02301. Thanks! = ) All prices, specifications and availability subject to change without notice. All vehicles are subject to prior sale. Price is based on in-stock units only. Does not include sales tax, plates, acquisition & document fee. Although every reasonable effort has been made to insure the accuracy of the information contained on this site, absolute accuracy cannot be guaranteed. Please contact dealer for the most current information. 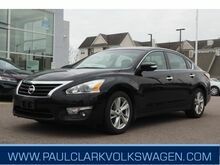 PANORAMIC SUNROOF*17-INCH ALLOYS*LOW, LOW MILEAGE - ONLY 15k MILES*LEATHER HEATED SEATS*BLUETOOTH*PREMIUM TOUCHSCREEN RADIO*SIRIUS XM*MDI CABLE FOR YOUR iPHONE*REMOTE KEYLESS ENTRY*TDI DIESEL*SPLASH GUARDS*AUTOMATIC* 50-plus MPG* Carfax Certified 1-owner w/ NO accidents AND regular oil changes! Price INCLUDES 2-year UNLIMITED MILEAGE Volkswagen Certified bumper-to-bumper warranty AND 4.99% APR Volkswagen Credit financing! Why not come in for a test-drive! We are conveniently located at Exit 17A off Rt. 24 on the Easton/Brockton line, near Stonehill College, between the Marriott Residence Inn and the Signature Medical Group on Liberty Street. As you come off the exit ramp take a right at your first three traffic lights onto Manley St., West Chestnut St., and Liberty Street. 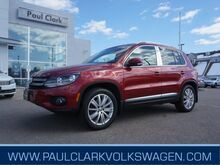 To arrange a test-drive, or to inquire more about this vehicle, call us toll free at (877) 734-9551, (508) 587-9040, or visit us online at www.paulclarkvw.com. For your GPS: 122 Liberty Street, Brockton, MA 02301. All prices, specifications and availability subject to change without notice. All vehicles are subject to prior sale. Price is based on in-stock units only. Dealer financing required to qualify for advertised sale price. Does not include sales tax, plates, acquisition & document fee. Although every reasonable effort has been made to insure the accuracy of the information contained on this site, absolute accuracy cannot be guaranteed. Please contact dealer for the most current information. Thanks! 3.0T SUPERCHARGED V6 - WOW! 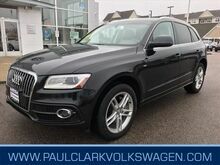 *QUATTRO PREMIUM PLUS S-LINE*NAVIGATION*19-inch ALLOYS*HEATED LEATHER POWER MEMORY SEATS*PANORAMIC SUNROOF*BANG & OLUFSEN AUDIO*BLUETOOTH*iPHONE CONNECTIVITY*SIRIUS XM*AUDI CONNECT*ADAPTIVE XENON HEADLIGHTS*KEYLESS ENTRY w/ PUSH BUTTON START*THREE-ZONE CLIMATE CONTROL*FRONT & REAR FOG/DRIVING LIGHTS*AUTOMATIC HEADLIGHTS*POWER LIFTGATE* Carfax Certified 1-owner w/ NO accidents AND regular oil changes! Why not come in for a test-drive! We are conveniently located at Exit 17A off Rt. 24 on the Easton/Brockton line, near Stonehill College, between the Marriott Residence Inn and the Signature Medical Group on Liberty Street. As you come off the exit ramp take a right at your first three traffic lights onto Manley St., West Chestnut St., and Liberty Street. 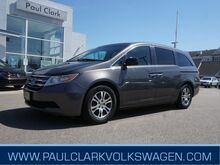 To arrange a test-drive, or to inquire more about this vehicle, call us toll free at (877) 734-9551, (508) 587-9040, or visit us online at www.paulclarkvw.com. For your GPS: 122 Liberty Street, Brockton, MA 02301. All prices, specifications and availability subject to change without notice. All vehicles are subject to prior sale. Price is based on in-stock units only. Dealer financing required to qualify for advertised sale price. Does not include sales tax, plates, acquisition & document fee. Although every reasonable effort has been made to insure the accuracy of the information contained on this site, absolute accuracy cannot be guaranteed. Please contact dealer for the most current information. Thanks! GLI EDITION 30 SEDAN * VW CERTIFIED * 2.0L TSI * SIX SPEED AUTOMATIC TRANSMISSION * 18 ALLOYS * POWER SUNROOF * AIR CONDITIONING * FENDER AM/FM CD STEREO * TWO TONE LEATHERETTE SEATS * HEATED FRONT SEATS * POWER WINDOWS AND MIRRORS * POWER LOCKS WITH KEYLESS * LEATHER WRAPPED MULTIFUNCTION SPORT STEERING WHEEL * BLUE TOOTH * CRUISE * INSTPECTED, SERVICED AND A 24 MONTH / 24,000 MILE WARRANTY! Why not come in for a test-drive! We are conveniently located at Exit 17A off Rt. 24 on the Easton/Brockton line, near Stonehill College, between the Marriott Residence Inn and the Signature Medical Group on Liberty Street. As you come off the exit ramp take a right at your first three traffic lights onto Manley St., West Chestnut St., and Liberty Street. To arrange a test-drive, or to inquire more about this vehicle, call us toll free at (877) 734-9551, (508) 587-9040, or visit us online at www.paulclarkvw.com. For your GPS: 122 Liberty Street, Brockton, MA 02301. Thanks! = ) All prices, specifications and availability subject to change without notice. All vehicles are subject to prior sale. Price is based on in-stock units only. Does not include sales tax, plates, acquisition & document fee. Although every reasonable effort has been made to insure the accuracy of the information contained on this site, absolute accuracy cannot be guaranteed. Please contact dealer for the most current information. 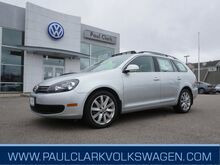 TDI DIESEL*SUNROOF*ALLOY WHEELS*REARVIEW CAMERA*HEATED LEATHER SEATS*BLUETOOTH*PREMIUM TOUCHSCREEN RADIO*SIRIUS XM*AUTOMATIC*SPLASH GUARDS*MDI CABLE INTEGRATION FOR YOUR iPHONE TO THE AUDIO*STONE & BUG DEFLECTOR* Low, low mileage! Only driven 8000 miles per year! Original MSRP of $30,460! Brand new tires! The Alloy Wheels are in brand new condition! Cars.com Good Deal price and a Hot Car! Carfax Certified 1-owner w/ NO accidents AND regular oil changes! Sold new here, a regular customer! Price INCLUDES 2-year UNLIMITED MILEAGE Volkswagen Certified bumper-to-bumper warranty AND 4.99% APR Volkswagen Credit financing! Why not come in for a test-drive! We are conveniently located at Exit 17A off Rt. 24 on the Easton/Brockton line, near Stonehill College, between the Marriott Residence Inn and the Signature Medical Group on Liberty Street. As you come off the exit ramp take a right at your first three traffic lights onto Manley St., West Chestnut St., and Liberty Street. 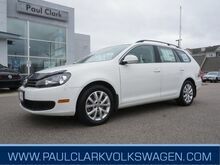 To arrange a test-drive, or to inquire more about this vehicle, call us toll free at (877) 734-9551, (508) 587-9040, or visit us online at www.paulclarkvw.com. For your GPS: 122 Liberty Street, Brockton, MA 02301. All prices, specifications and availability subject to change without notice. All vehicles are subject to prior sale. Price is based on in-stock units only. Dealer financing required to qualify for advertised sale price. Does not include sales tax, plates, acquisition & document fee. Although every reasonable effort has been made to insure the accuracy of the information contained on this site, absolute accuracy cannot be guaranteed. Please contact dealer for the most current information. Thanks! SL AWD * ONE OWNER CLEAN CARFAX * VERY CLEAN IN AND OUT * 2.5L I4 * CVT TRANSMISSION * AWD * 18 ALLOYS * LEATHER INTERIOR * POWER DRIVER'S SEAT * HEATED FRONT SEATS * CLIMATE CONTROL * MULTIMEDIA DISPLAY AM/FM CD STEREO WITH NAVIGATION * BLUE TOOTH * POWER WINDOWS AND MIRRORS * POWER LOCKS WITH KEYLESS * BACK UP CAMERA * CRUISE * FOLDING REAR SEAT * INSPECTED AND SERVICED! Why not come in for a test-drive! We are conveniently located at Exit 17A off Rt. 24 on the Easton/Brockton line, near Stonehill College, between the Marriott Residence Inn and the Signature Medical Group on Liberty Street. As you come off the exit ramp take a right at your first three traffic lights onto Manley St., West Chestnut St., and Liberty Street. 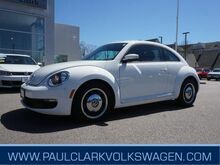 To arrange a test-drive, or to inquire more about this vehicle, call us toll free at (877) 734-9551, (508) 587-9040, or visit us online at www.paulclarkvw.com. For your GPS: 122 Liberty Street, Brockton, MA 02301. Thanks! = )All prices, specifications and availability subject to change without notice. All vehicles are subject to prior sale. Price is based on in-stock units only. Does not include sales tax, plates, acquisition & document fee. Although every reasonable effort has been made to insure the accuracy of the information contained on this site, absolute accuracy cannot be guaranteed. Please contact dealer for the most current information. 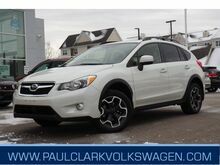 AWD 2.0I PREMIUM 4DR * CLEAN CARFAX * 2.0L 4I * AWD * AUTOMATIC TRANSMISSION * ALLOY WHEELS * POWER SUNROOF * FOG LIGHTS * HEATED FRONT SEATS * AM/FM CD STEREO * POWER WINDOWS AND MIRRORS * POWER LOCKS WITH KEYLESS * BLUE TOOTH * CRUISE * INSPECTED, SERVICED AND SALE PRICED! Why not come in for a test-drive! We are conveniently located at Exit 17A off Rt. 24 on the Easton/Brockton line, near Stonehill College, between the Marriott Residence Inn and the Signature Medical Group on Liberty Street. As you come off the exit ramp take a right at your first three traffic lights onto Manley St., West Chestnut St., and Liberty Street. To arrange a test-drive, or to inquire more about this vehicle, call us toll free at (877) 734-9551, (508) 587-9040, or visit us online at www.paulclarkvw.com. For your GPS: 122 Liberty Street, Brockton, MA 02301. Thanks! All prices, specifications and availability subject to change without notice. All vehicles are subject to prior sale. Price is based on in-stock units only. Does not include sales tax, plates, acquisition & document fee. Although every reasonable effort has been made to insure the accuracy of the information contained on this site, absolute accuracy cannot be guaranteed. Please contact dealer for the most current information.